Hi Everyone! Happy November! Hopefully everyone is doing alright in the aftermath of the awful storm. I’m fortunate that my hometown was not hurt by the hurricane, but a lot of my friends’ hometowns have been affected. I’m hoping that this new month will start off better than October ended. Things at NYSID, Preferred Source Solutions are great; I’m really enjoying my internship with them. I’m getting to know a lot of the employees and everyone is so friendly. I’ve had a few nice conversations with Ron Romano, President and CEO. In fact, last week I was visiting with Ron and he asked me how my speech went at the Rose of Lima Dinner! I was so pleased that he not only remembered, but took the time to ask about the event! I’ve worked on a number of projects so far this semester. Last Thursday, I finished up a flyer that will be sent out to promote seasonal winter products. Yesterday, I created a “Thank You” note that the sales team can send to customers. 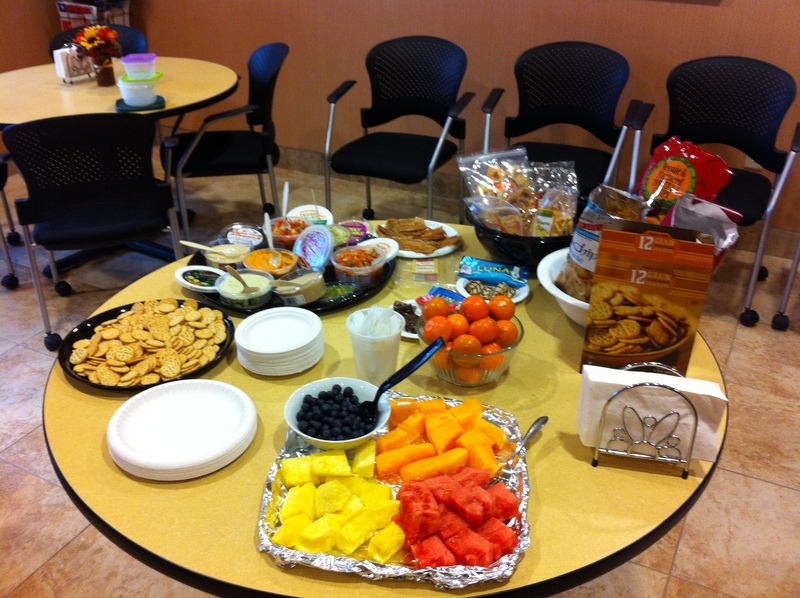 One of the favorite things that I’ve done so far though is help the Health & Wellness Committee provide healthy snacks for the employees. Last Thursday, my supervisor, Brian, and I went to Trader Joe’s and picked out snacks that are better for people, but that the employees don’t normally have. As you can see from the picture, we ended up with different kinds of fruit, dried fruits, hummus, pita chips, etc. As of tomorrow, I will have reached the 120 hours I need for credit for the internship course. However, Brian and I decided that since I’m going to be in Albany for the next six weeks, I should continue working. I’m excited that NYSID has extended my internship. Even though it makes the school week a lot busier, I look forward to the change of pace from classes and school work. It’s sometimes tiring to come home from the internship and go right into student/RA mode. However, it helps that I have a great group of residents. 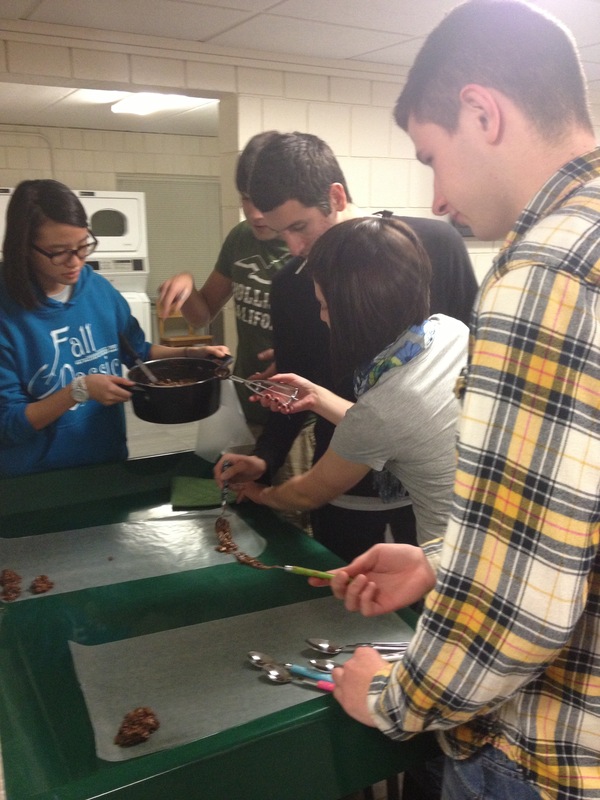 Last week, we made no-bake cookies as a social program. I was excited that almost all of my residents were there and wanted to help make the cookies! Pictured at left are a few of my residents and I during the program.